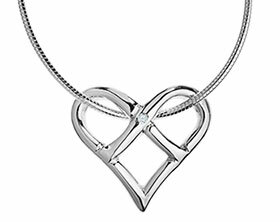 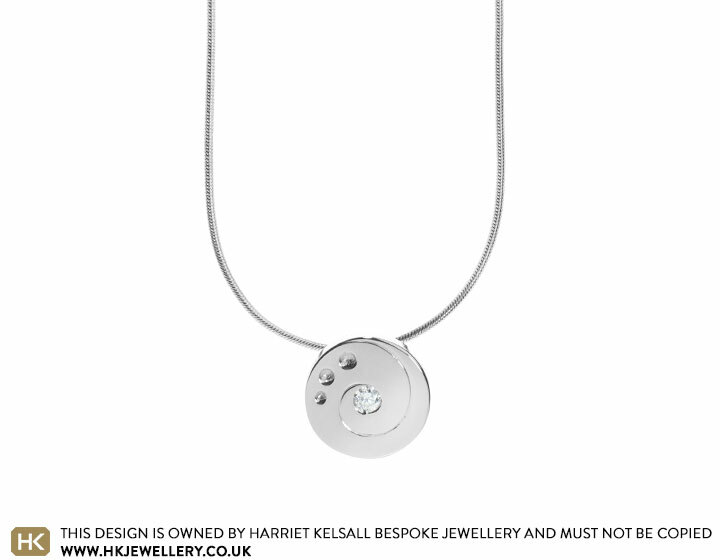 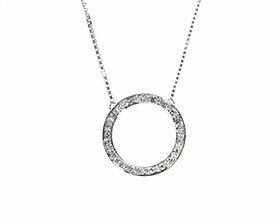 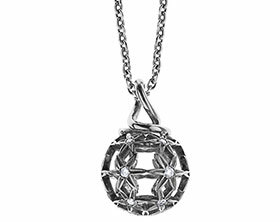 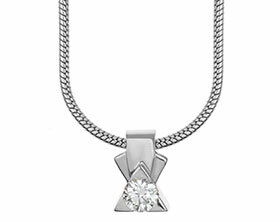 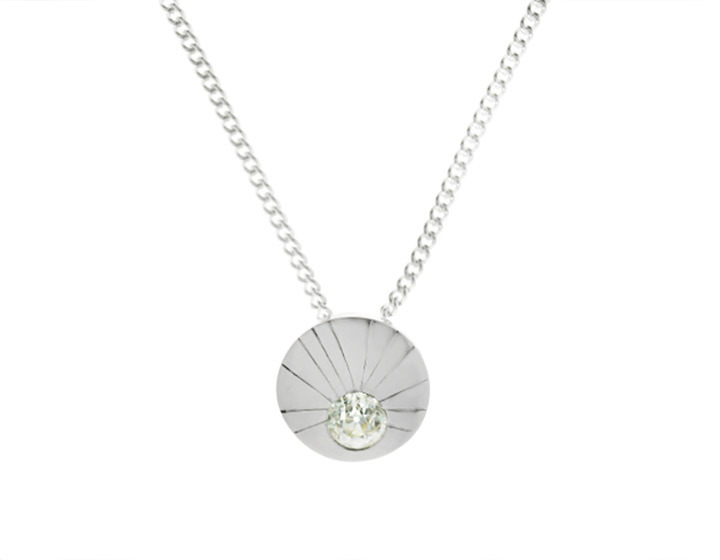 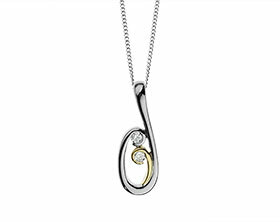 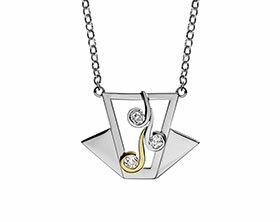 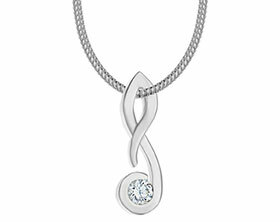 This contemporary 9 carat white gold Saturn inspired pendant has a central invisibly set PK1 brilliant cut 2.5mm diamond. 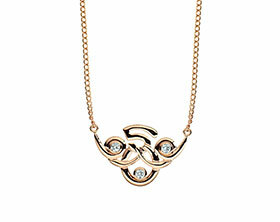 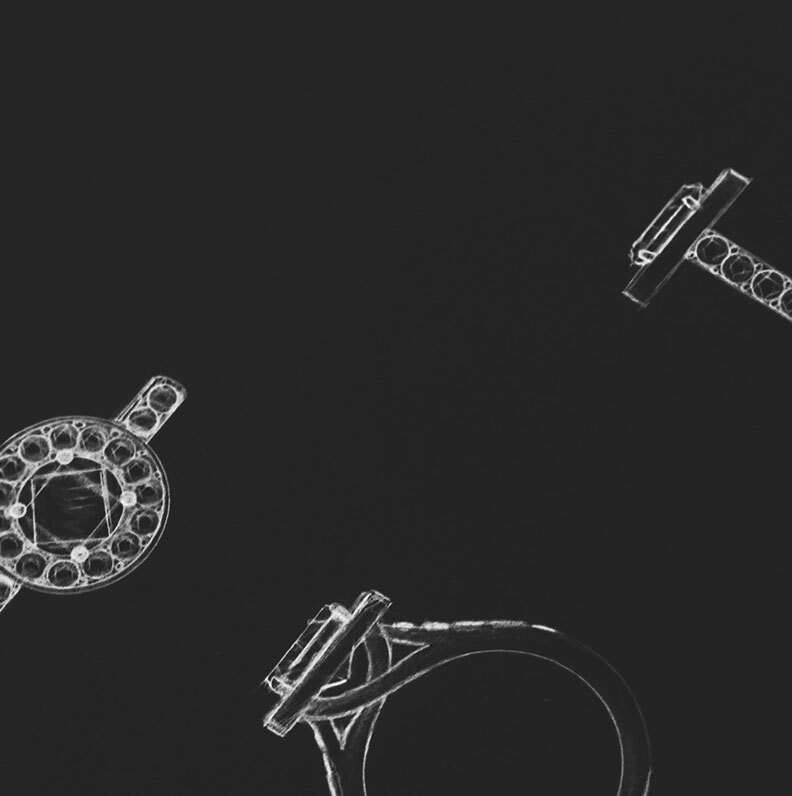 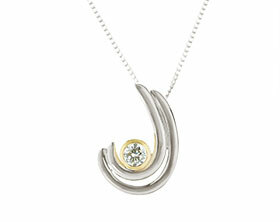 Spiralling around the diamond is an engraved line and 'orbiting' engraved circles. 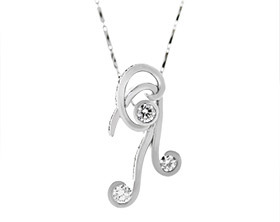 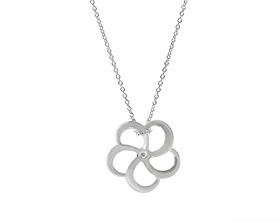 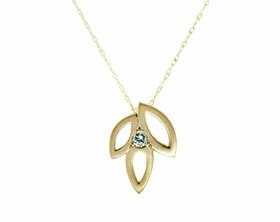 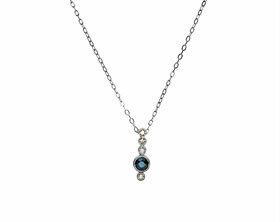 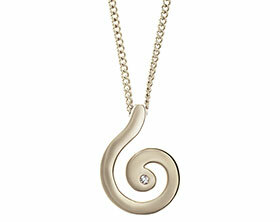 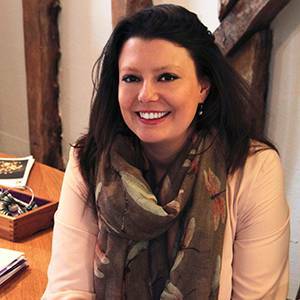 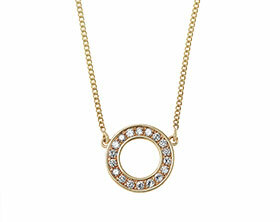 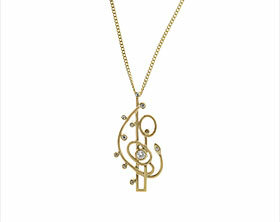 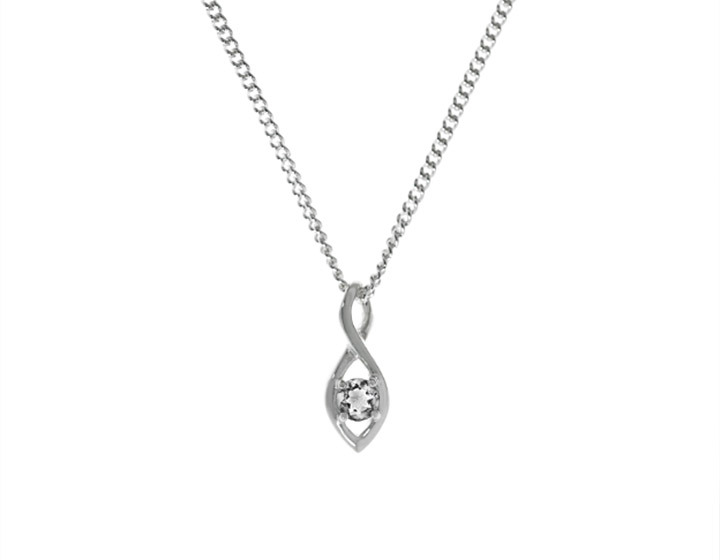 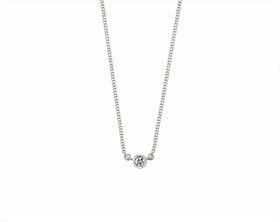 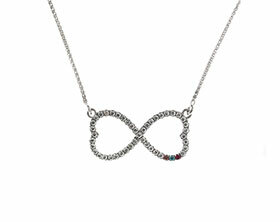 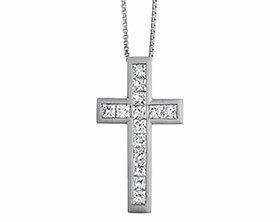 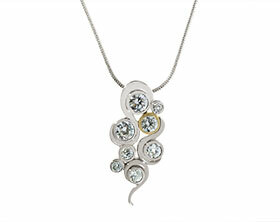 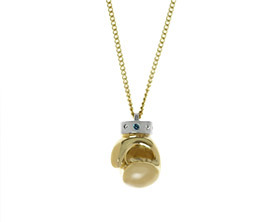 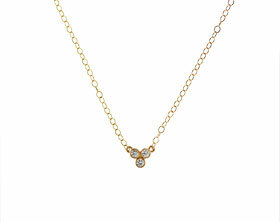 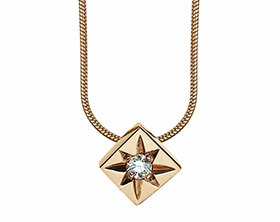 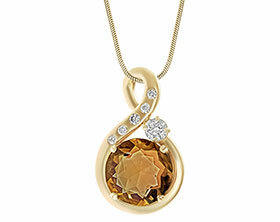 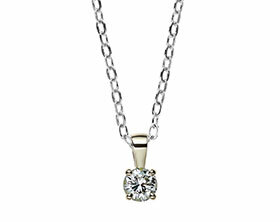 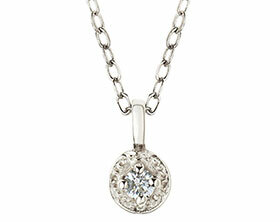 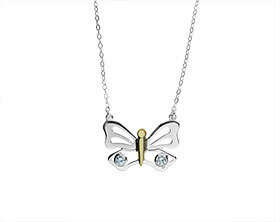 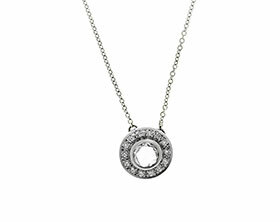 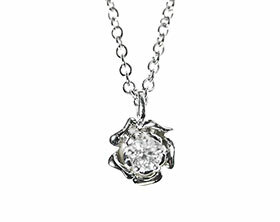 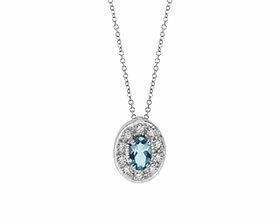 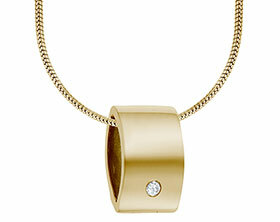 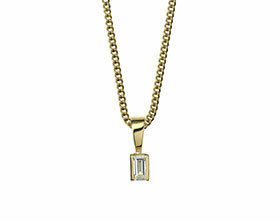 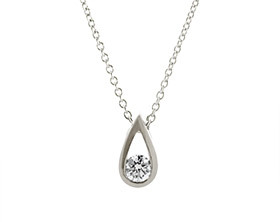 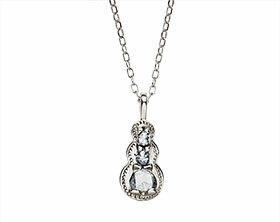 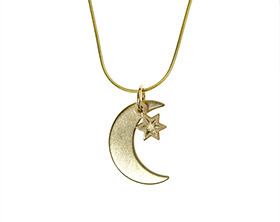 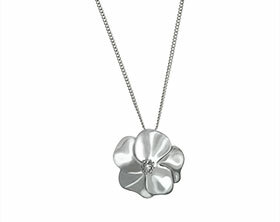 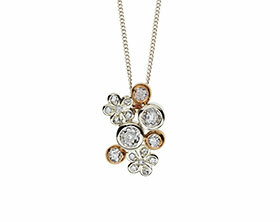 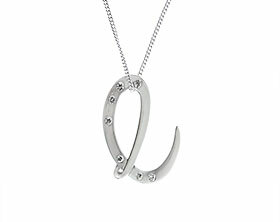 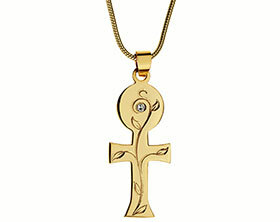 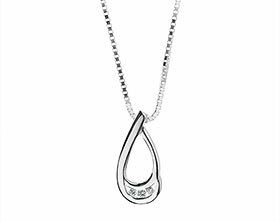 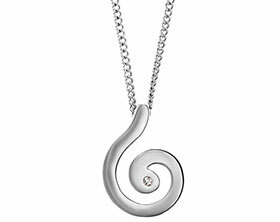 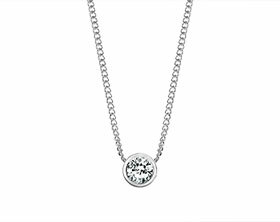 The pendant is 12mm in diameter and 2mm deep and hangs on a 16 inch white gold snake chain.